A lifelong traveler who recently made the Bay Area his permanent home, James Hong has cultivated the best of what big cities and big corporate environments have to offer. 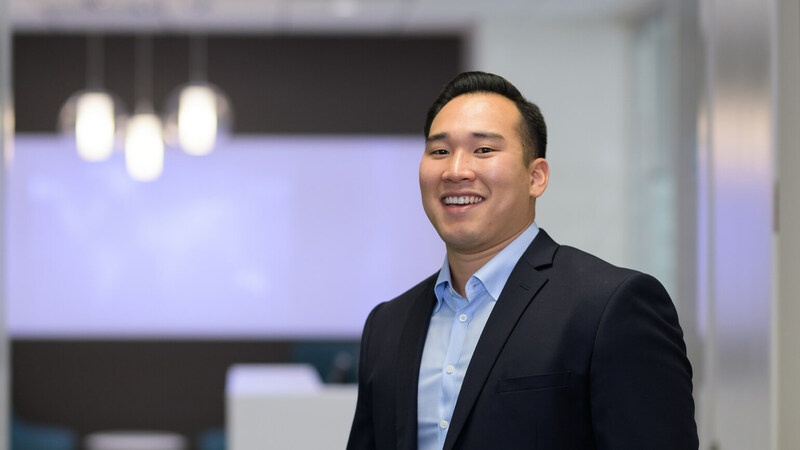 Born in Korea and raised for five years in Ecuador, he hails most recently from Southern California where he deepened his financial planning knowledge and found his passion for helping entrepreneurs and corporate executives plan for their future. James appreciates our fiduciary commitment to always doing what’s right for the client and the opportunity to delve into the complexities of high-level wealth management planning. He values the opportunity to customize investment planning and to provide a highly individualized level of client service that builds on his knowledge of investment, tax, estate, and retirement planning. His technology experience and expertise was also instrumental in the recent upgrades to our back-end trading systems. When James isn’t taking a CrossFit class or challenging himself with Olympic weightlifting, he enjoys hiking and fishing with his wife. They’re currently exploring salmon and bass fishing in Pacifica. We’re just grateful he was first hooked on the qualitative and quantitative aspects of wealth management.